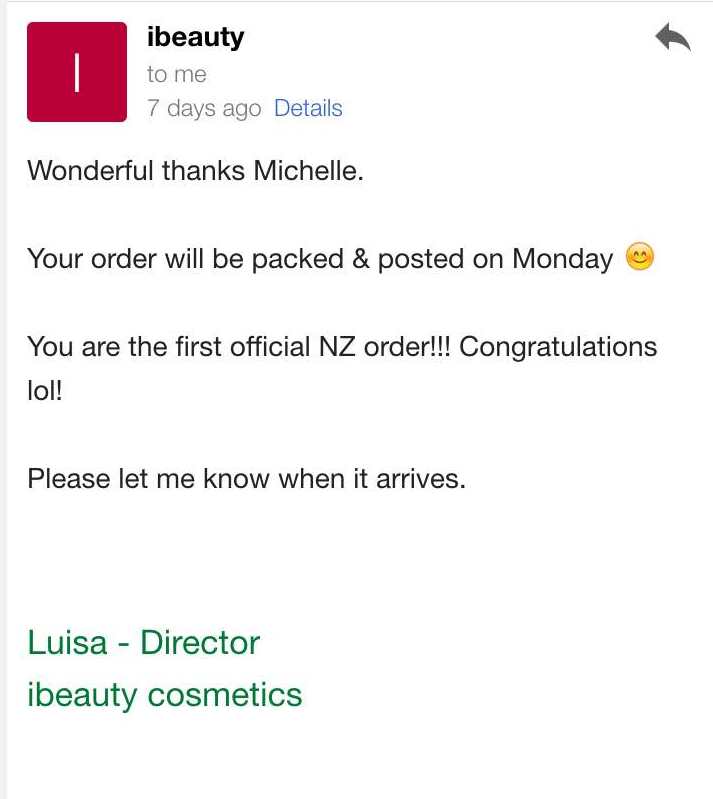 I recently discovered iBeauty Cosmetics from a Facebook group - they are an Australian based company who recently started shipping to New Zealand - so I decided I would make a palette! Also, I wanted to mention the customer service is amazing - it makes ordering from a company so easy! The inserts and the palette came wrapped in bubble wrap and was so secure. Each eye shadow is usually $7.50 but on special for $3 which is an amazing price! I got the 12 Pan Eye Shadow palette (no iBeauty logo) which was reduced to $2.50 - again, such a great price! The quality of both the palette and the eye shadows are amazing. The palette is so sturdy and doesn't feel cheap at all - so happy! I also got sent two mini 2 piece eyeshadows which was adorable! I'm definitely going to be re-purchasing, as there are so many more colours I want need to get! The shipping is quick and afforable, the palette feels so sturdy and the eyeshadows are so pigmented, cream and soft. This brand/company has exceeded my exceptions, very very happy!